Add us to your Registries! Hello Mommy & Daddy to be! You can now add us to your online registries! MyRegistry.com and BabyList.com have made it easy for you to add our items to their registries so you can add all the unique nursery needs you find on our online store. To see how, below is some guidance to help you. If you are registered with MyRegistry.com, adding our products to your list is almost too easy. 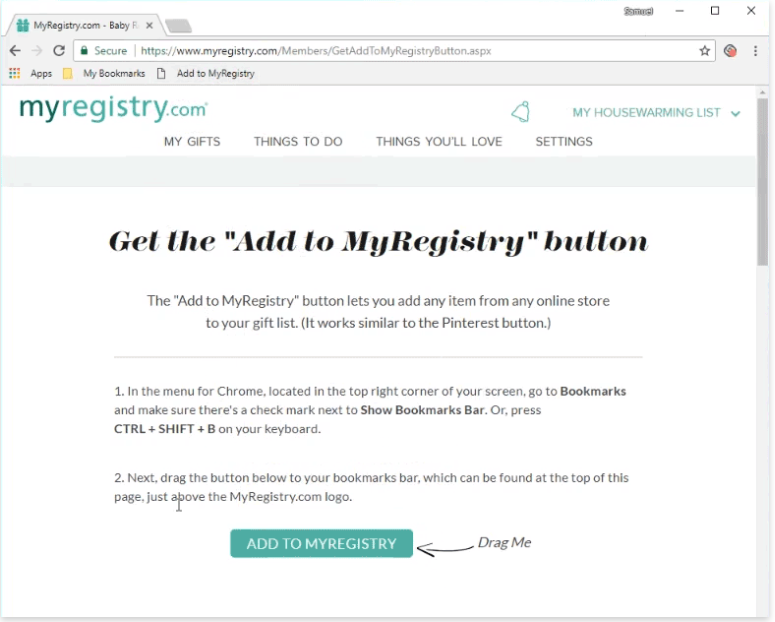 Just put the "Add to MyRegistry" button on your bookmarks bar from this page (easy instructions). Then when you are shopping Hello Baby and get to a product you want, simply click the "Add to MyRegistry" in the bookmarks bar and that product will be added to your list on MyRegistry. 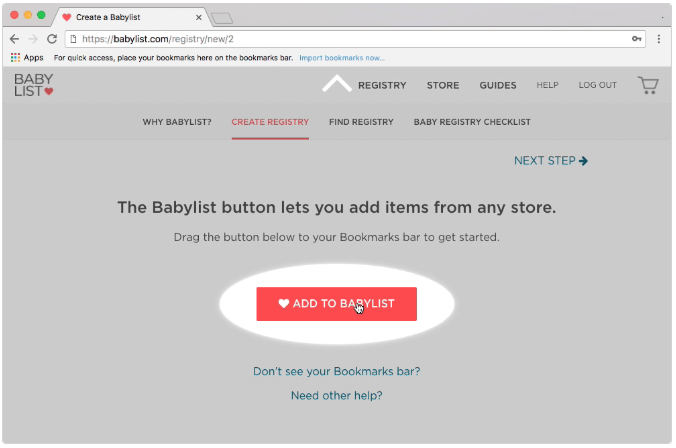 BabyList is a popular site for mommies-to-be and dads too! When you go through the sig-up screens, BabyList will ask if you want to add products from outside stores. Click yes and it will give you a button for your bookmark bar. Go to Hello Baby and look around. When you find an item you would like to have on your registry, simply click the button in the bookmark bar. Add a button for BabyList.com Here. If you find other registries you think we should list here, let us know via email at info@hellobabystores.com. If you want to be notified when we have a registry or get our specials and updates by email, sign up for our email list here.